Great news, Jake passed the neurological test.. at last!! He is now just awaiting confirmation from RVL on when he can return to Racing but at this stage we are hoping he will be back in the saddle come the Ballarat meeting next Thursday. 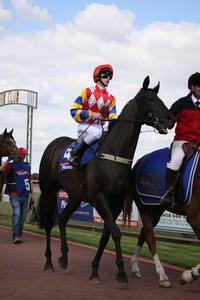 Well done Jake we are looking forward to your return to the races.